It’s an honor when given a voice on someone else’s website, and I don’t take such opportunities lightly. In fact, I think I spend more time preparing for those posts than I do posting here. I suppose it’s a lot like having guests in your home compared to a family dinner. We tend to go above and beyond when we’re having company, but are more relaxed when it comes to being with family. The past few weeks have been full of guest post opportunities, and we wanted to make sure you didn’t miss them. Consequently, over the next few days we’re going to link up with each one and introduce you to their website, in case you haven’t had a chance to check them out yourself. 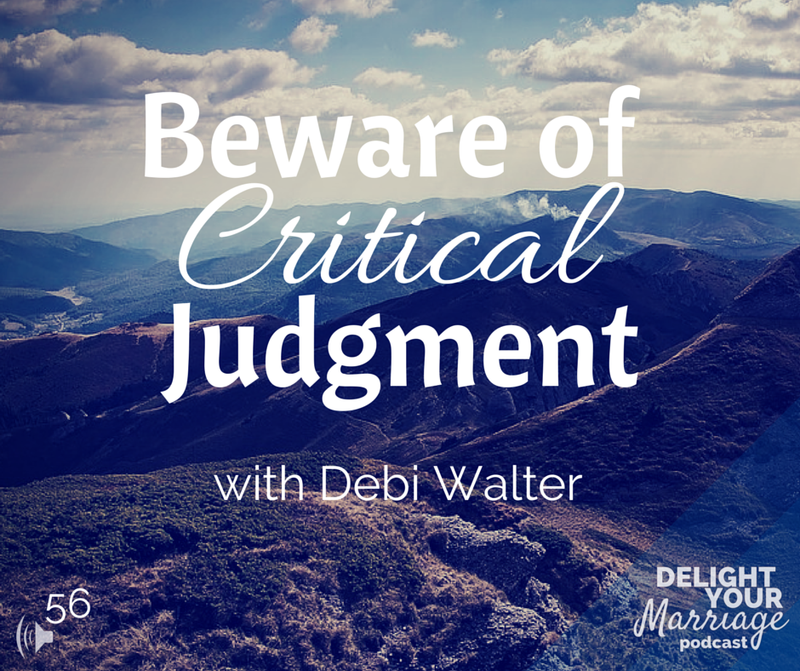 Today meet Belah Rose (not her real name), with the Delight Your Marriage Podcast. Belah interviews women to glean insight into the lessons learned when facing difficulties in their marriage. It can be on a wide variety of topics, but she spends a lot of time encouraging wives to enjoy their sexual intimacy with their spouse. I’m grateful for the opportunity she provided me to share with her listeners about some things I’ve learned in the past 36 years of marriage. She split the interview into two separate podcasts. We encourage you to have a listen when you have some spare time. She does a great job with the questions. And while you’re there, sign up to receive notification when a new podcast is available. Thanks! This entry was posted in Blog Love, Christian Marriage, Conflict, Growing Strong Marriages and tagged Belah Rose, Critical Judgments, Delight Your Marriage. Bookmark the permalink.